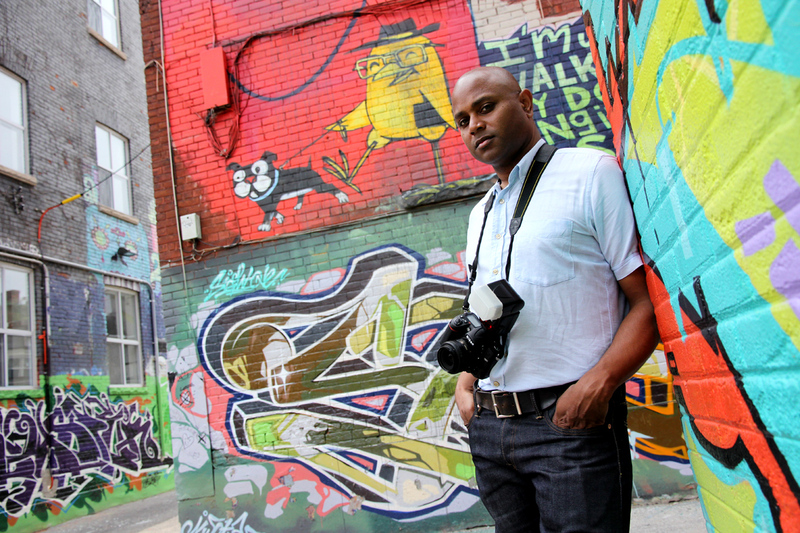 If you see this gentleman in an alleyway, fear not -- he may just ask you for a street style photo. That's me in the picture, Nigel Hamid, and I've been recently featured in Style Invasion's Photographer Spotlight. So if you're curious about what it's like to shoot fashion in the streets of Toronto, check out this great video and article by Theo R.
*Photo and video courtesy of Theo from Style Invasion. I'm really happy to see you featured, because your work is amazing. I shoot street photography, but to get up and actually talk to people and get permission seems like it wouldn't work here in Boston. It's great knowing that people appreciate my blog and it motivates me to continue doing what I'm doing. I've bookmarked your site and will be visiting again. I love the Thunderbird shots. Hey Nigel...Very nice profile! Keep up the stellar work. I will visit again soon. Thanks jdit! I always enjoy your witty and insightful comments!